Jack Brondwin, a member of Little Mountain Cohousing, is working to develop the city’s second cohousing complex. Photo Jennifer Gauthier. The 68-year-old’s suite features two bedrooms, two bathrooms, a kitchen, dining area, walls adorned with art, a bookshelf stuffed with books, and workout equipment organized neatly in one corner. While enjoying the independent life he’s carved out in central Vancouver, the retired veterinarian is prepared to trade it in for something entirely different. Brondwin, who’s single, worries about living alone during his senior years, but he also believes he has much to offer — in knowledge, time and interests — to younger generations, as well as to his contemporaries. Loneliness, he points out, is considered one of the primary reasons people don’t age well. A 2012 Vancouver Foundation survey found that social isolation was, in fact, a serious concern with Metro Vancouver residents who indicated the region can be a hard place to make friends, that neighbourhood connections are “cordial but weak” and that many residents are retreating from community life. But Brondwin plans to embrace community life. “Cohousing is the opposite of [a lonely existence]. It allows people to enter into a community of like-minded people where they can share all kinds of activities and they can be involved in events and [they] are able to create a family of their own,” he says. Cohousing communities have emerged in various parts of B.C. over the years, including in Langley, North Vancouver and Burnaby. They’ve been slow to form in Vancouver due to the high cost of land, but the Kensington-Cedar Cottage project proved it’s not impossible and Little Mountain Cohousing hopes to follow suit. Setting up a cohousing community isn’t simple, however. It’s a years-long commitment. 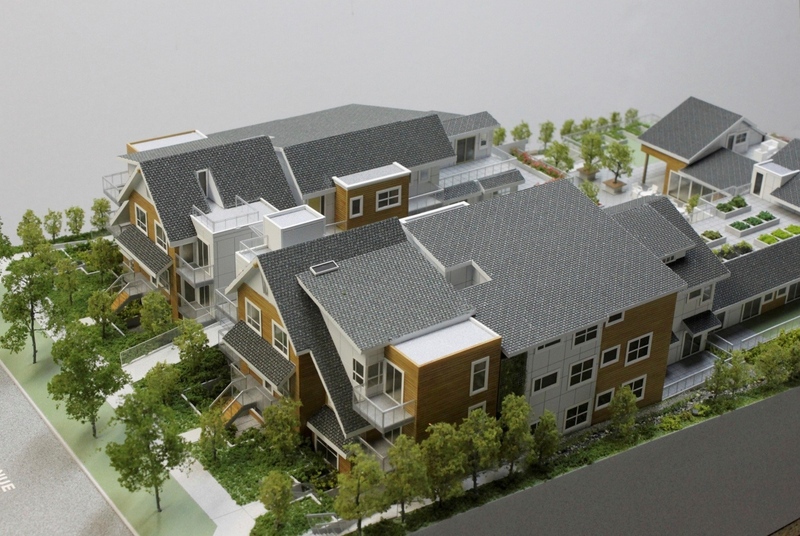 The group Brondwin joined initially considered a seniors-only cohousing group in Kerrisdale, but members dropped the idea in favour a multi-generational community closer to Main Street in the Little Mountain neighbourhood. At one point, the group, with help from Alan Forrester, a land developer who understands cohousing, had an option on a two-lot parcel and went as far as submitting architectural drawings to the city to see if their proposal was possible. The city agreed it was possible, but the group concluded the site was too small, there weren’t enough equity members and the process was moving too quickly. Little Mountain Cohousing is now searching for a larger, three-lot site with the assistance of Forrester, who was also involved in the land assembly for the East Vancouver cohousing project. It’s also seeking more members to help finance the down payment. Currently, it has two equity members — Brondwin and Pansy Chau, who each contributed $20,000, while a family with three children is taking steps to become the third equity member. The group also has 11 associate members who pay a small membership fee and may buy units in the complex. Cohousing groups typically need five to 10 equity members, depending on how much each contributes, to cover initial development costs and the down payment, according to Brondwin. The rest of the financing is generated through bank loans. Brondwin envisions a 25-to-30 unit building, with a purchase price of roughly $665 per square foot. That could translate to anywhere between $285,000 and $620,000, depending on the size of the suite, although concrete details have yet to be finalized. “It’s not a cheap proposition and that’s why it tends to attract people that already have houses, so they already have some equity,” says Brondwin who explains the cost of a cohousing unit is often comparable to a similar-sized market unit in the same neighbourhood. Cohousing’s advantage is that owners get their own private suite plus access to large common spaces, which often include outdoor areas, an office, a common kitchen for group meals, a guest room for visitors, as well as other common spaces such as a yoga room or a workshop. Space allocation is up to the needs of the cohousing group involved in designing the project. Residents also benefit from social relationships within the community and the collective skills of the group. Older residents or stay-at-home parents may be able to help young families with childcare, while younger residents may be able to help older ones with trips to the doctor. Shared vehicles are common, which reduces transportation costs. It can also be easier to find someone with a shared interest such as gardening or hiking. Decisions are made through consensus, with cohousing groups creating their own way of functioning, which may include many or few rules. Kathy McGrenera knows of what Brondwin speaks. She’s a founding member of Quayside Village, a cohousing complex in Lower Lonsdale in North Vancouver. From the 17-year-old building’s central courtyard, visitors can see the entrances to all the units in the multi-storey complex. That’s not by accident. 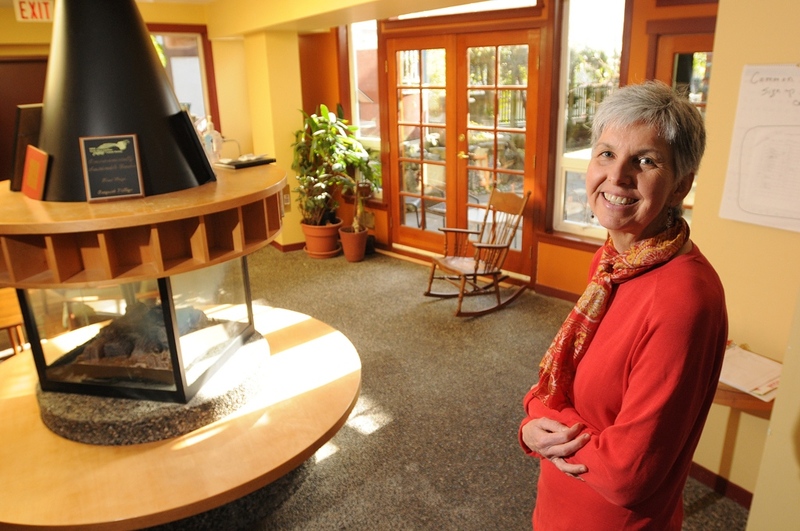 “Cohousing is architecturally designed to encourage interaction,” explains McGrenera, who’s among those advising the Little Mountain Cohousing group. McGrenera, who lives in a 1,000-square-foot unit, became interested in the lifestyle in the 1990s because she was planning to be a single mother and wanted to live more collaboratively. Neither she, nor her daughter, who’s now almost 17, have regrets. “It worked out amazingly well. [My daughter] makes me regularly promise we’ll never move out,” she says. The courtyard, according to McGrenera, is often bustling with activity, particularly during summer months when a splash pool is out, the barbeque is on and potlucks are commonplace. Inside, there’s a large common living area with a fireplace on the main floor, a shared bathroom, a guest bedroom for visitors, as well as an office used by two of the residents — a midwife and a naturopath. The living area leads into a spacious, modern-looking kitchen with several dining tables. Common meals are held twice a week for those interested. On the top floor is a deck with a spectacular view of the water and a “dome room” used for activities ranging from meditation to yoga to massage appointments. “That’s the beauty of cohousing. You try to make the most desirable spaces in the building shared ones,” says McGrenera. Conflict can arise, but she says residents are compelled to deal with it and settle matters for the benefit of the whole. 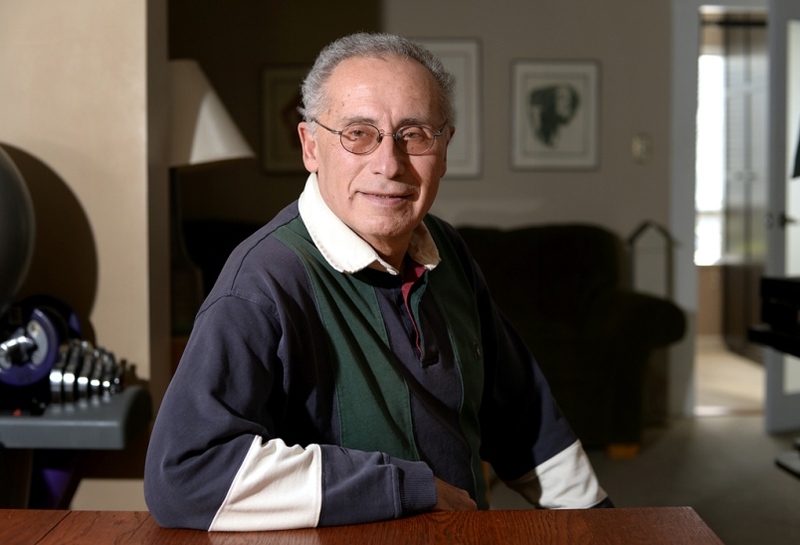 Over the years, residents have moved out, but it’s usually because they’re moving to a new city or their family has outgrown the space — Quayside Village units range from 450 to 1,000 square feet. “Interestingly, when people are looking to relocate for a more urban or a more rural setting, they often move to a different cohousing location. Over the 17 years I have lived here, we have had four households of people move here from Windsong cohousing in Langley to be close to the city, and three households from here have moved to Roberts Creek cohousing for a more rural life,” McGrenera told the Courier, adding cohousing attracts a range of personalities. Opportunities for such interactions will soon become reality for Ericka Stephens-Rennie whose family is moving into the Kensington-Cedar Cottage cohousing complex on East 33rd near Argyle once it’s finished this fall. Construction is well underway on the project, which features a 6,510-square-foot common house at the back of the property to promote interaction between residents. The project took several years of planning, including a rezoning process. All 29 market units are sold with prices ranging from $285,000 to 680,000, but there are still two covenanted market rental units — a one-bedroom and a three-bedroom suite — that haven’t been sold. Vancouver Cohousing is considering its options, which may be to sell them to a non-profit, which would find appropriate tenants, or to retain a percentage of ownership. “We think maybe we can best stay engaged if we own part of the unit. Since there’s no profit margin in our project we need to wait to see how much of our contingency is available. Right now, we don’t have the ability to say 100 per cent this is what our down payment looks like,” she says. Back in his house on West 12th, Brondwin is optimistic the Little Mountain Cohousing project will be realized. He anticipates the group will have as many as six equity members by May, with an overall goal of 10. He concedes he’s taking a financial risk by being among the first equity members, but he’s convinced it’s worth it. “If you wish to start something, you have to take a risk. But I think it will be successful,” he insists.